Here you can edit your category details, such as name and category color. If you'd like to edit the more advanced category options - choose Category options from the left menu panel. Make your category name as specific, original or unique as you like! 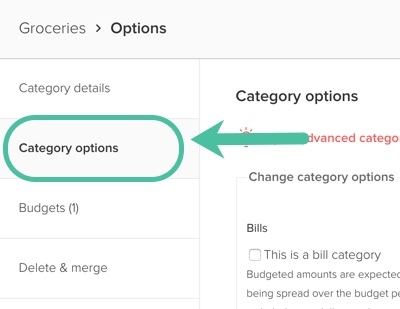 Any edits to a category name will automatically update any related budgets or category rules. Choose a color for each of your categories 🎨 These colors will be reflected on your Calendar page, Budget page and other graphs and reports such as the Earning and Spending graph on the Dashboard. 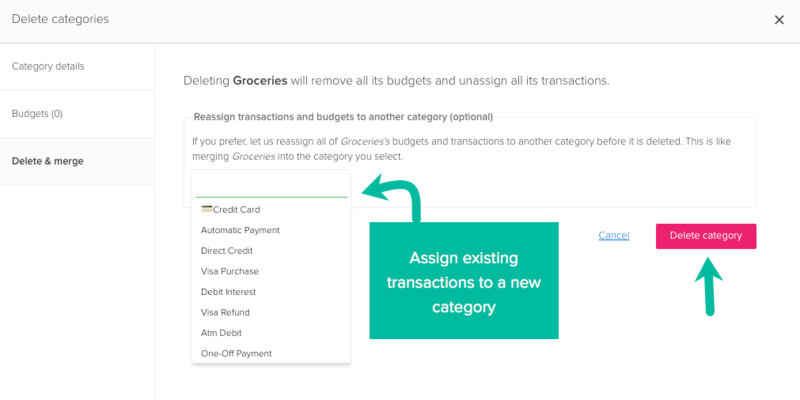 You can delete a category and assign all of its associated transactions and budgets to another category. 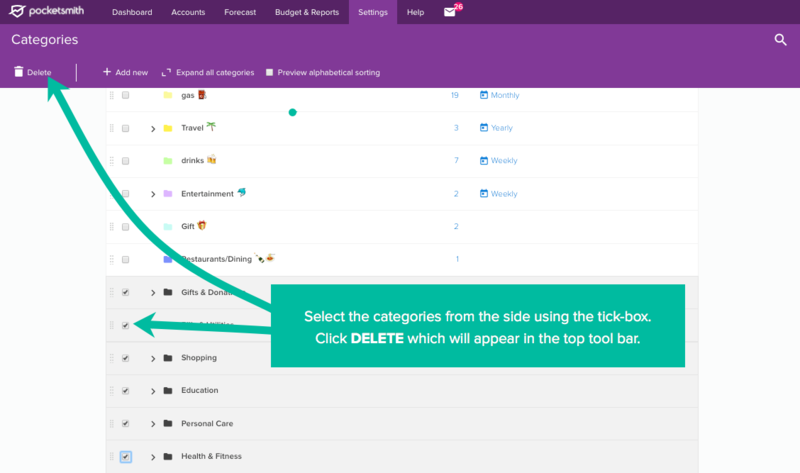 If you choose not to re-assign the transactions and budgets from a deleted category to a new one, all its transactions will become uncategorized and the budgets will be deleted. If you have a whole stack of categories that you don't want, you can delete them in bulk on the Categories page. Click Delete from the toolbar and then click YES. You may want to adjust the order of your categories so that they are displayed differently in drop-down menus and in some reports, such as the Cashflows and Income & Expense statements. You can change the category order by dragging and dropping categories following the steps below. 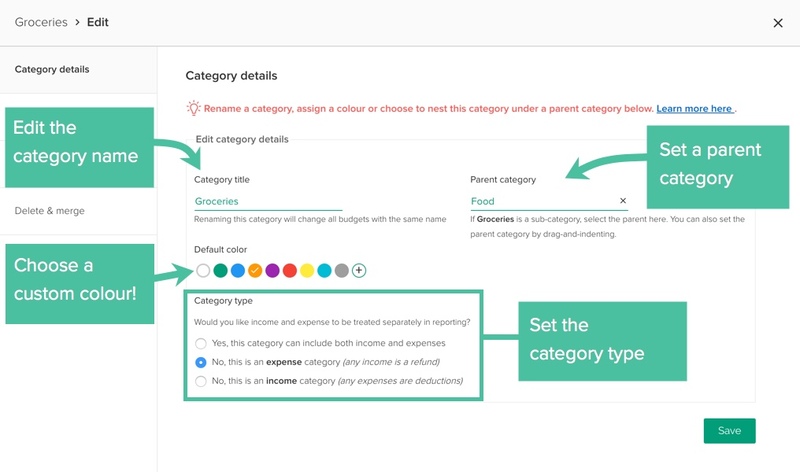 Currently, sub-categories aren't able to be nested within their parent-category in reports such as the Income & Expense statement. However, sub-categories displayed on the Income & Expense statement will be shown in the correct order. PocketSmith keeps track of any category deletions or name changes you make. This means that any newly imported transactions that have categories from a bank feed or bank file are mapped to the new category (if the name is changed) or are uncategorized (if the category has been deleted). 🎉 Jeffrey decided to change the name of his category called Hobbies. He changed it to Hobbies & fun. Now, any new transaction imported with the Hobbies category via automatic categorization from the bank feed, or with a category assigned to it in a bank file import, will be assigned to the category Hobbies & fun. 🏠 Jeffrey also decided to delete his category called Household Goods. He wanted to categorize household goods into more specific categories, and no longer has a need for the category Household Goods. 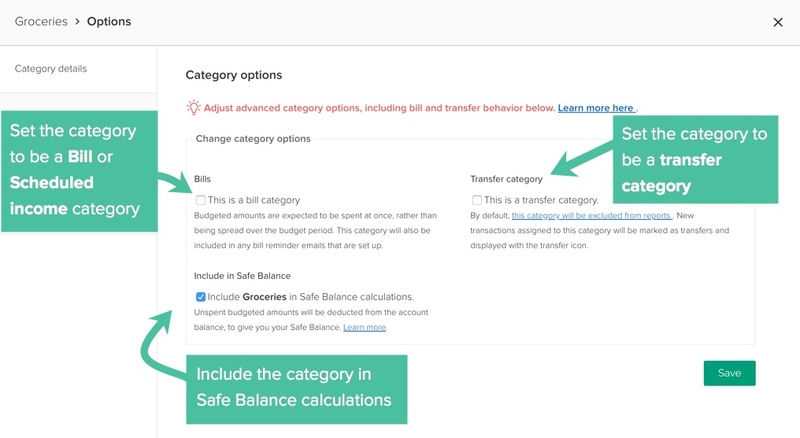 Now, any transaction imported with the category Household Goods via automatic categorization from the bank feed, or with a category assigned to it in a bank file import, will be uncategorized.